Banish the Grease with Batiste 2 in 1! I have been lucky enough to be sent the Batiste 2 in 1 Invisible Dry Shampoo and Conditioner to try out and review. I have always been a lover of a Batiste Dry Shampoo, I would say I can go through about a bottle a month, so being able to try a new formula really got me excited! We all have dry shampoo days every now and then as it's a great way to give your hair a boost to remove those dreaded greasy roots! 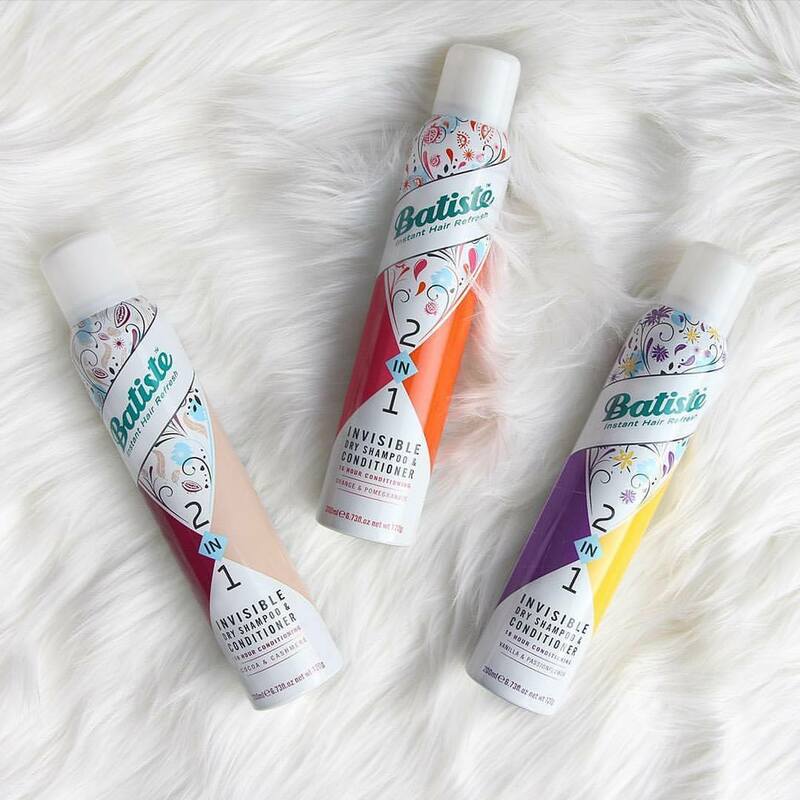 However, what about us lot with dry hair already, dry shampoo just makes the situation worse, so the brainiacs at Batiste have created 2 in 1 Shampoo and Conditioner specially designed for dry, damaged, curly and coloured hair. Batiste 2in1 contains all the grease-zapping qualities of Batiste’s original range but with added conditioners that make your hair feel gorgeously soft and smelling sweet too! Whilst the Batiste 2 in 1 Shampoo and Conditioner is not as chalky as the original formulas meaning it wont absorb as much, the spray is invisible which lightly lifts the roots and moisturises all at the same time. The new formula comes with a new way to spray which is as easy as ABC: Shake can to activate the ingredients, Hold at arms length an mist all over in a halo-like motion (never directly at the roots! ), Give your roots a massage to add volume and remove any excess oils, Lastly work it through with fingers or a brush all the way to the ends for super soft shiny hair! In my honest opinion I would say this product works for people with dry hair as it does as it does condition and smooth hair whilst keeping any oil at bay. However, if you have normal to oily hair already I would just make sure to not spray any of the dry shampoo directly onto the roots if you want to keep your hair looking fresh as it can end up making your hair look greasier if your not careful. People with oiler hair types may be better with Batiste Original variety, but this product is great for me! The product is great for a quick fix, gives my 18 hours of conditioning, and an extra couple of days of life in my hair before I am reminded that I really need to use actual shampoo! Plus if you end up going to any festivals this summer then a travel sized can of this would be ideal!